Yuyuan Garden was first established in Ming dynasty by a mandarin named Pan yunduan who used to be the governor of Sichuan and later expanded greatly. 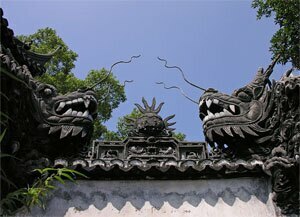 The Yuyuan Garden was considered the best garden in southeast China. It enjoyed a history over 400 years since its first establishment by Pan yunduan who had intended to bring happiness and pleasure to his parents and relatives. 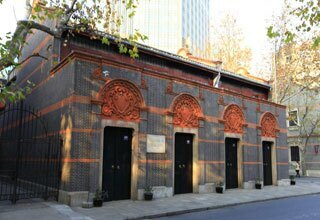 It became the headquarters of the dagger association or small-sword group uprising (an uprising in 1853 led by the dagger association, a secret organization, against the foreign imperialists in Shanghai and Xiamen of Fujian province). Now a great number of weapons, home-made coins and announcements used by the dagger association are on display in the spring hall of the garden. A large-scale restoration of the Yuyuan garden was conducted after the establishment of prc and it was opened to the public formally in 1961. Originally named "Leshou Hall", the Sansui Hall was built with five commodious rooms in qing dynasty to treat and entertain his guests. Later it was used for celebration and announcement of imperial edicts. The grand rockery, created by Zhang nanyan, a celebrated rockery artist in Ming dynasty, is seen as the best treasure of the Yu garden and the best rockery in south China. The exquisite Jade Rock in front of the Yuhua Hall is one of the three most well-known rocks in China. 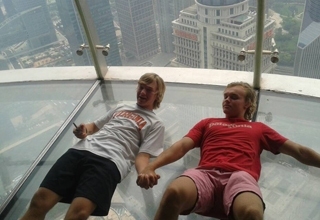 The other two are "Ruiyun Rock" in Lingering Garden in Suzhou and "Zhouyun Rock" in Hangzhou Flower Nursery. Beautifully shaped, the exquisite jade rock is about 4 meters in height. It is a piece of grotesque rock from Taihu Lake in Wuxi, Jiangsu province, and it is characterized by its wrinkled appearance, slender shape, translucent nature, and numerous holes eroded by water. It is a stone exhibition gallery housing a great quantity of stone sculptures and engravings. 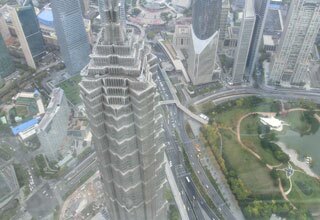 It finds favor in tourists&apos; eyes for its visual arts and human values. 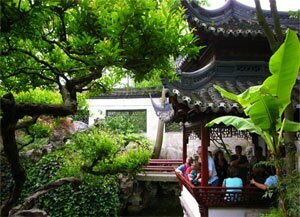 Best Time to Visit: The best time for a visit to Yuyuan garden is in early spring when the yu garden shows fully its graceful and subtle beauty.